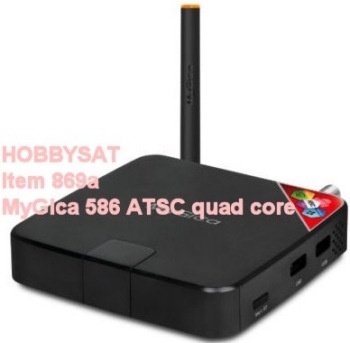 Our Best Rated IPTV receiver and digital converter combo!!! Item 869a: $74.95Can or $55.95us Brand New. Competitors such as Channelmaster DVR+ are selling from $300 to $500. They have less features and apps. 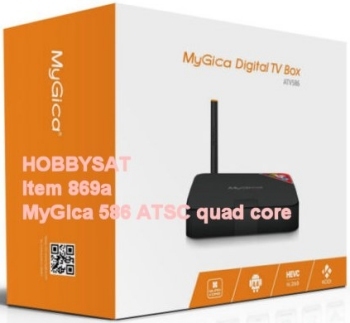 MyGica ATV586 ATSC is the Ultimate Entertainment TV Box. Powered By Android 4.4 Operating System. 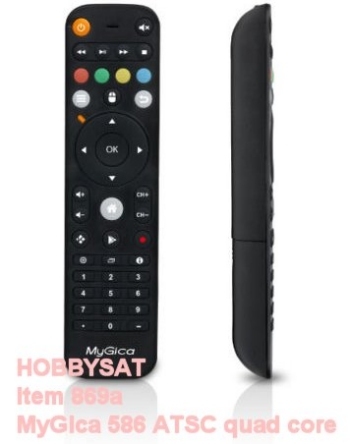 Watch, Record, Schedule, Edit and Enjoy Live TV with your Over the Air Aerial TV Antenna. 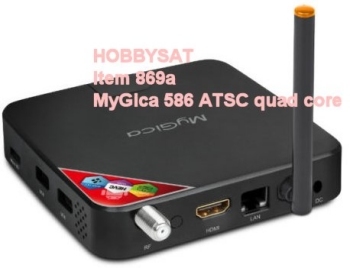 Although MyGica includes a FREE basic indoor TV antenna we strongly recommend you use a more powerful outdoor antenna to gain more TV channels. Delivers Superb True 1080P HD with no up-scaling. 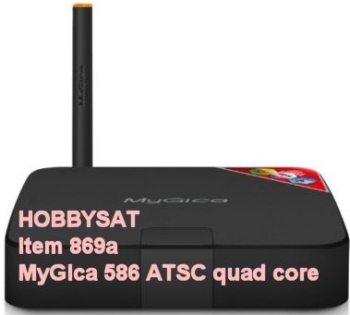 If your current television doesn't have an ATSC tuner or if your television is old you can use this MyGica Model to get back Local Channels in High Definition Quality. 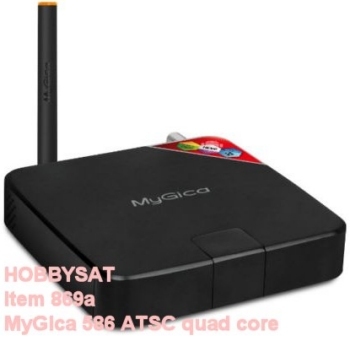 It is built on the same platform as the popular MyGica ATV 585 with Amlogic Quad Core Processor and Mali 450 Quad Core GPU. It boasts hardware decoding HEVC H.265 Technology (H.265 reduces bandwidth if the video content is displayed in HEVC H.265) reducing bandwidth up to 50%. 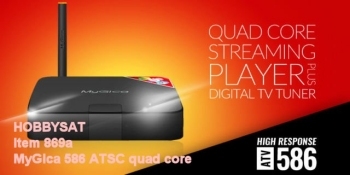 Preloaded with the Popular KODI (formerly known as XBMC Media Center) as its Premium Home Entertainment Software. KODI has No trials, No Pro Edition and No Limitations. Some competitors offer a limited basic edition or trial period Media Center. Not us.